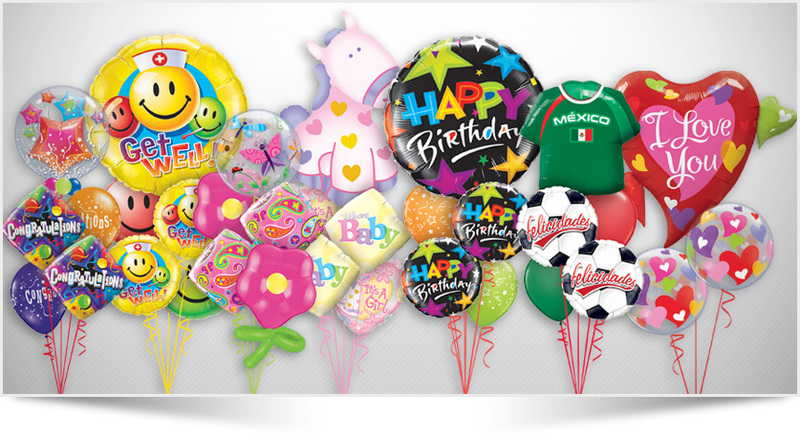 Send a beautiful balloon gift delivery - send a "Sparkle Surprize". It is not just a beautiful balloon gift delivery; it is a surprise. The themed bubble balloon floats out of the gift box that it is delivered in, delighting the recipient and creating a lasting memory. At only $49 (plus delivery), a Sparkle Surprize is incredible value for money. 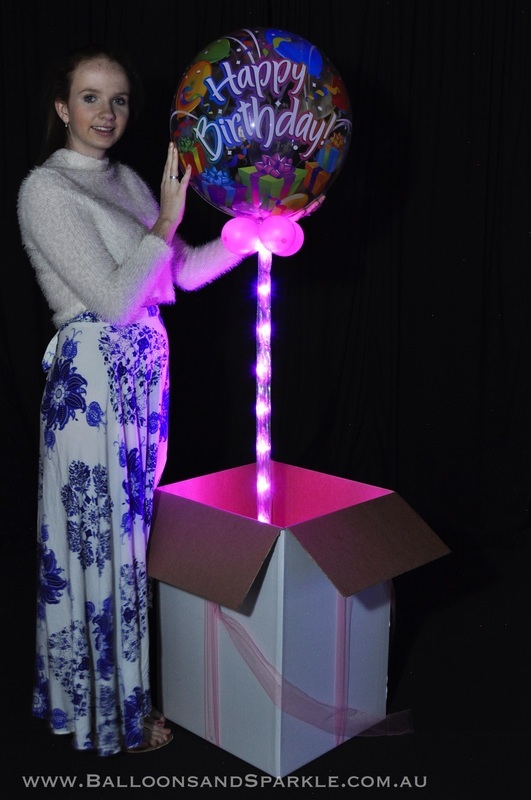 The look on their face when they open the box and the balloon with the stunning lighted ribbon floats out, is priceless. Watch the video below and if you wish to send a Sparkle Surprize anywhere in Brisbane or the Gold Coast. * The smile on their face is worth every cent. View the video above to see how awesome this gift delivery is. 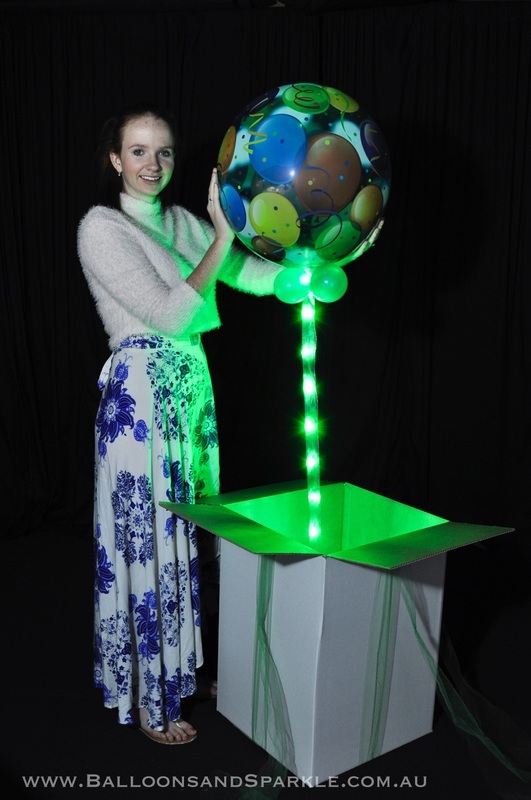 Click on any photo to enlarge - Remember, the balloon floats out of the gift box with the lighted Ribbon attached, it's stunning ! Have a question? Email us or Call us on 0418 410 415. Simply email or call us with your ideas or requirements and we can make up something special for any occasion. 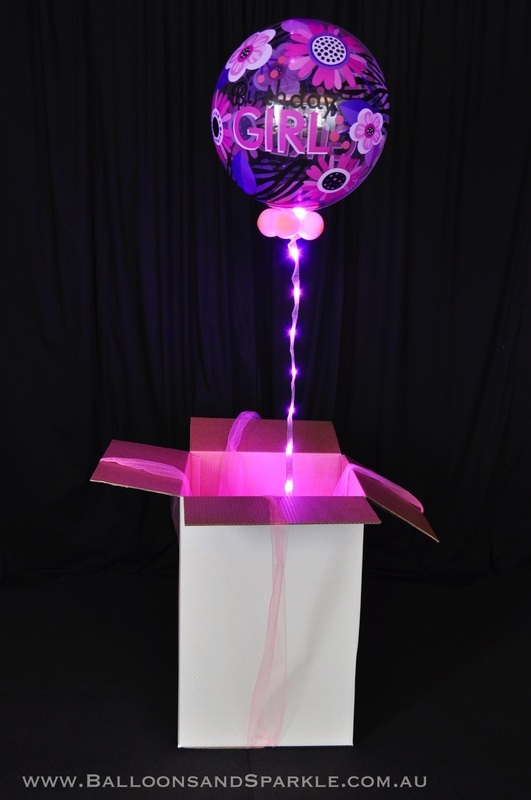 Regardless of your location, we can deliver a top-quality balloon bouquet to your home or office, making any occasion special. Our team can custom design a bouquet of any size to suit you. Talk to us today and find out more about what we can do for you. Simply email or call us with your ideas or requirements and we can make up something special for any occasion.